The independent philosophy website Minerva has just made available a podcast interviewing Dr Simon Kirchin, Senior Lecturer in the Department of Philosophy. 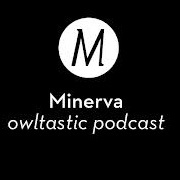 Minerva podcast consists of short interviews with diverse philosophers; the interview with Simon is 35 minutes, and introduces and discusses metaethics. The site is named after the Roman goddess of wisdom.